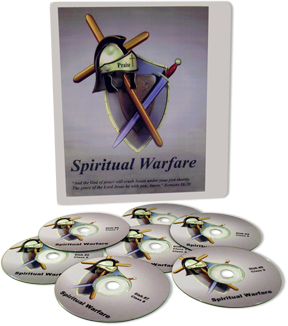 The Spiritual Warfare Manual is an audio download, complete with comprehensive class notes, designed to equip the saints with the tools needed to battle in the spiritual realm. 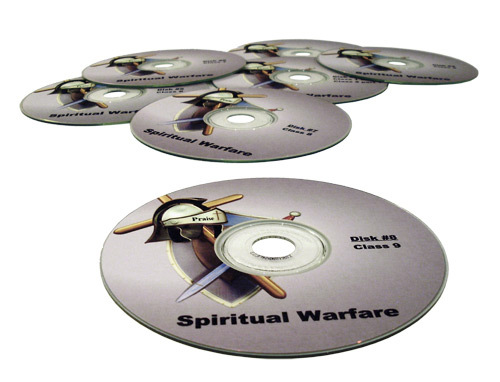 The Spiritual Warfare Manual is currently available in one format: as downloadable audio files in mp3 format (download includes all 8 CDs in mp3 format and class notes in Adobe PDF format) for $44.95. Please note that the 8-CD set with binder is not available at this time. 1 Peter 5:8 says "Be sober, be vigilant - for your adversary the Devil walks about like a roaring lion seeking whom he may devour". 2 Timothy 2:3 tells us "You therefore must endure hardship as a good soldier of Jesus Christ". These two scriptures refer to the constant spiritual warfare that all Christians are engaged in, whether they know it or not. This warfare is unceasing, unrelenting, with no mercy or quarter given. 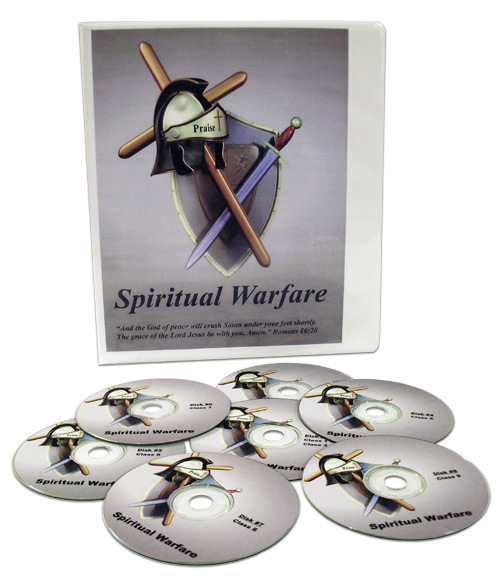 It is a spiritual battle first with a very real enemy. We are assured victory because Jesus Christ has overcome all forces of darkness, and has given this ultimate victory to His Church. We, as His Church, have been given the mission of enforcing this final victory. 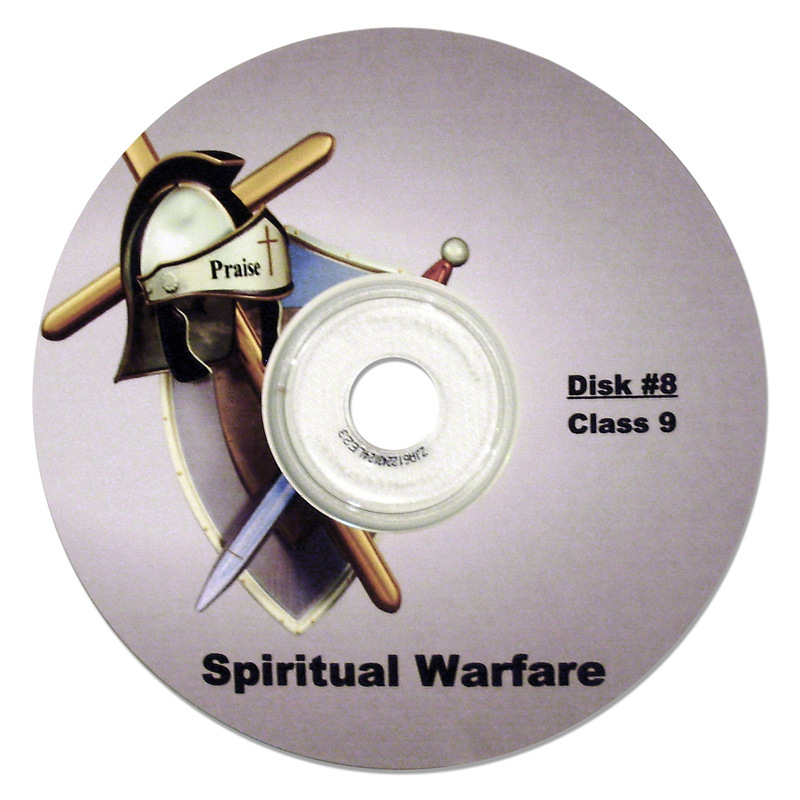 Herein lies the heart of this spiritual warfare. 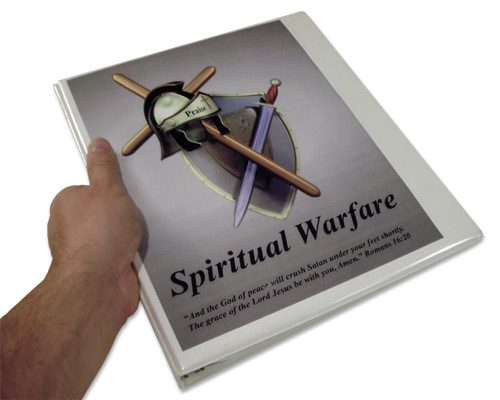 This manual will attempt both to look at this vital subject based on the scripture, and some lessons learned in the heat of the battle.